Indian Prime Minister Narendra Modi shakes hands with Chinese President Xi Jinping ahead of the G20 Leaders Summit, Hangzhou, China, Sept. 4, 2016 (AP photo by Wang Zhao). During a visit by Bhutan’s foreign minister to Beijing last month, China’s foreign minister, Wang Yi, said that his government hoped to establish official diplomatic relations with its neighbor and work to solve their long-running border dispute. 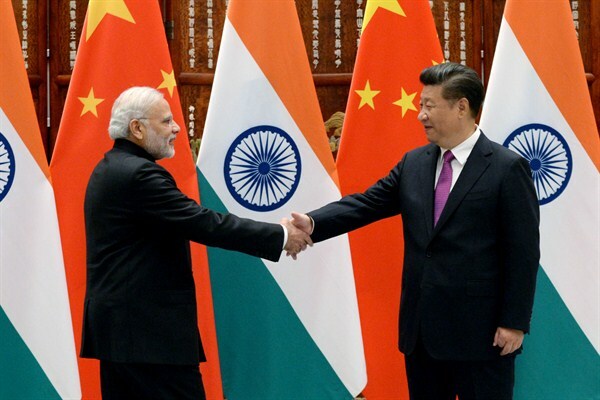 In an email interview, Tilak Jha, a doctoral student at Jawaharlal Nehru University, discusses China’s outreach to South Asia.